1) Go early in the morning, before the surf and the wind picks up. I like to be in the water between 7:30 and 8am.In addition to way better conditions, you can also snicker condescendingly to the people showing up at 9 or 9:30 when you are already on your way to a yummy post-snorkeling breakfast. 2) Check out conditions at Maui Weather Today’s Dive and Snorkel page. This can sometimes help you choose between two locations, depending on how the snorkel locations are oriented on the island. 3) Wear a covering, such as a wetsuit or T-shirt to avoid an awesome sunburn on your back. This is preferable to using sunscreen because of the negative impact of sunscreen on the fish and coral. 4) Take your time in the water. Snorkeling is not a competition to see who can cover the most area. Do more floating than swimming. Enjoy the details of the fish or the coral formations. Don’t dart back and forth looking for an eel, or monk seal, or turtle, or whatever is on your wish list to see. Just let the snorkeling happen to you and take what comes. Remember, even a bad day of snorkeling is better than a good day in the office! On the north side of Maui’s west shore, this is one of my favorite locations to snorkel. Very popular snorkeling destination which we will all have to work hard at preserving. Please visit the Save Honolua Coalition page for more information. Don’t be afraid to talk to the people who may already be snorkeling there and ask which side of the bay is better. I find it hard to do the whole bay in a single snorkeling session, and prefer to stay on one side and enjoy it. Because of the location, check the surf forecast, and if this area of the island has been getting rain, the conditions may not be ideal. But this location should be on everybody’s short list for Maui snorkeling locations. I love to stop in Lahaina afterwards for a hearty breakfast at Longi’s or Cheeseburger in Paradise. Excellent snorkeling awaits at Black Sand Beach (Oneuli Beach) around the base of the cinder cone and out towards the point. This place is a beautiful location in South Maui at the base of the large cinder cone which you can see from just about everywhere in South Maui. The formal name is Oneuli Beach. When you get to the beach walk towards the left as far as you can, and snorkel out to get past the cloudiness at the shore. 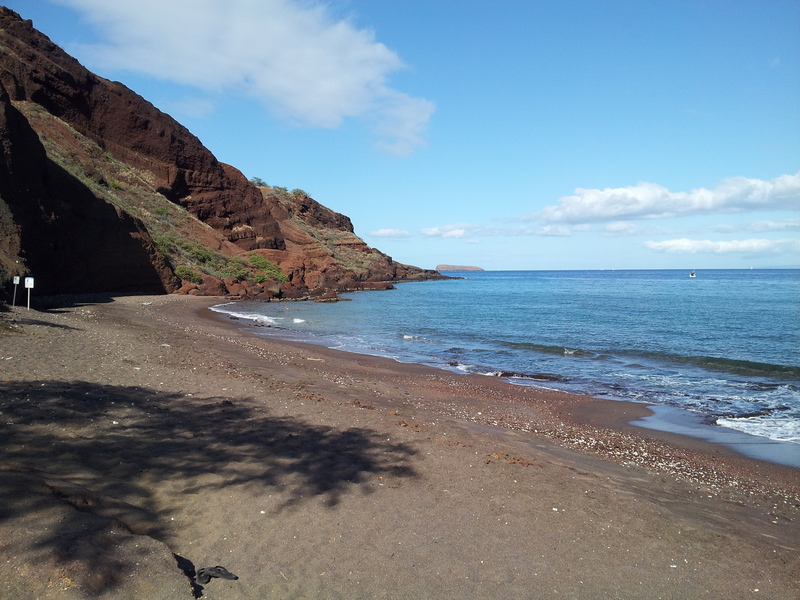 You can snorkel all around the cinder cone if you are a very good swimmer and end up at Little Beach. Lot’s of interesting coral formations. Inside of a Natural Reserve area, the lava formations in this part of the island make for a beautiful setting, although entry into the water can sometimes be tricky. Excellent beach in the Wailea/Makena area that is not as heavily used or snorkeled as other beaches in the area. Walk to the right over a small lava outcropping, all the way to the right to another lava flow. Great snorkeling around the lava point. Warning: the beach in this area appears to be “clothing optional”, something that Maui Revealed failed to reveal to us! It is actually difficult to find independent snorkeling information on the internet! Most websites with Maui snorkeling information are operated by tour operators trying to sell you something. I recently found Hawaii Snorkeling Guide that appears to provide unbiased information. Check it out! Honolua is one of my favorites as well, although we usually stay in Kihei, so dont get up there as much as I would like. I haven’t been to the Black Sand Beach, although we did almost swim there from Maluaka Beach (my favorite one so far). I just snorkeled Honolua Bay for the first time and I LOVED it! I live in Napili and I snorkel often in Napili Bay! Mahalo!